Be a Wedding Makeup Artist! Give the bride the PRETTIEST makeup for her BIG DAY! You’re getting your shot to be a wedding makeup artist. A bride wants you to do her makeup salon for her wedding, and you’ll want to do your best work to get more and more bridal clients! Your dream is coming true! You’re getting your first big break as a wedding makeup artist. Your appointment time with a beautiful bride is going to be today, so you’ll need to get ready! Your bride is going to need a relaxing beauty spa to get her in the right place mentally and physically for her big day. 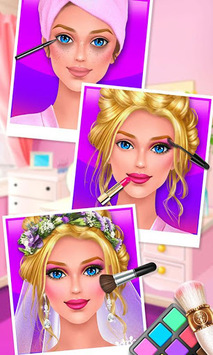 Then, you’ll give her a beautiful bridal makeup design to help her look absolutely stunning. Then, you’ll help her into her gorgeous wedding gown. 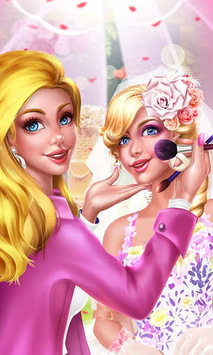 She’ll be the happiest bride and will be willing to tell all her friends about your excellent makeup skills! Your star as a wedding makeup artist is getting ready to go sky-high! Do you have what it takes to please the client and get a referral? 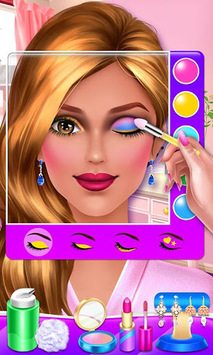 Download to see how amazing your makeup skills will be!